Bajaj Auto has just released another cosmetic update for the Pulsar 150 Classic. The base variant of the bike gets three new colour schemes as part of its Neon collection — Neon Yellow, Neon Red and Neon Silver. Priced at Rs 64,998 (ex-showroom, Delhi), the Neon Yellow also gets a matte grey paint, another first for a Bajaj Pulsar. The neon accents are seen on the bike’s badges, the grab rail, the mesh on the side cowl, a small insert in the headlamp unit and highlights on the alloy rims as well. However, there are no other changes to the bike. It continues to use the 149 cc single-cylinder engine that produces 14 PS at 8,000 rpm and 13.4 Nm of peak torque at 6,000 rpm. Suspension remains identical too and braking is taken care of by a 240 mm disc upfront and a 130 mm drum at the rear. The bike does not feature ABS. “Pulsar has been the number one sports bike in India for the past 17 years. 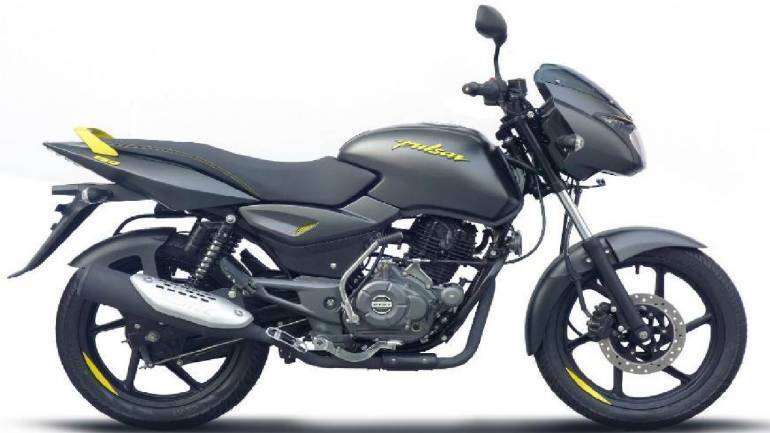 The Pulsar 150 Neon, with its fresh new looks, outstanding road presence and proven performance is set to be the first choice for any customer willing to move beyond a 100/110 cc bike,” said Eric Vas, President (Motorcycles), Bajaj Auto.